Batman and the Teenage Mutant Ninja Turtles Team-Up This November. 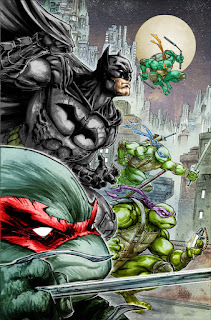 DC Entertainment and IDW Publishing announced their latest crossover miniseries during IDW’s panel on Friday at Comic-Con International: San Diego with BATMAN/TEENAGE MUTANT NINJA TURTLES. Scheduled for November, this six-part monthly miniseries is set in the streets of Gotham City where fans will see the Dark Knight fight like never before with wall-to-wall ninja action. The story will be brought to life by James Tynion IV (BATMAN: ETERNAL, CONSTANTINE) and star artist Freddie E. Williams II (ROBIN, CAPTAIN ATOM) handling interior and cover art. 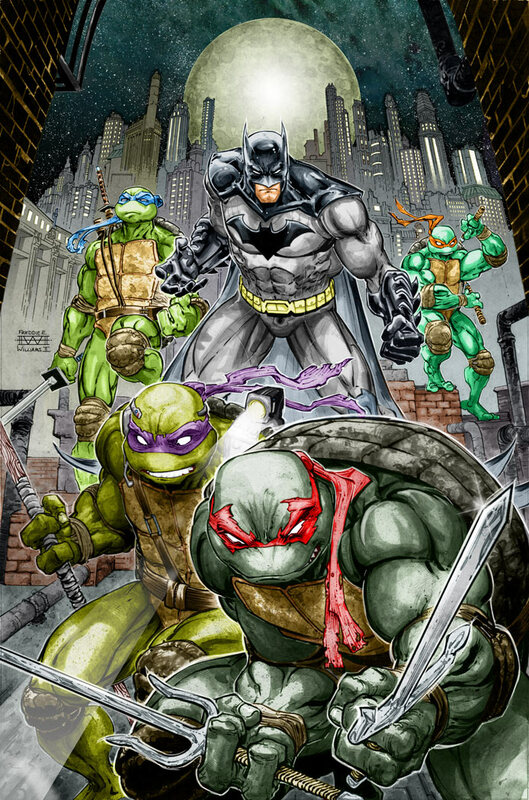 In addition, Teenage Mutant Ninja Turtles co-creator Kevin Eastman and other to-be-announced artists will illustrate variant covers. "Batman is the world’s most popular Super Hero. He continues to be reimagined and this new crossover showcases his ongoing appeal as a global pop icon for the ages,” said Editor-in-Chief of DC Comics, Bob Harras.